There are absolutely no limits to what you can achieve, especially when you’re equipped with the right tools, the right attitude and the right plan! 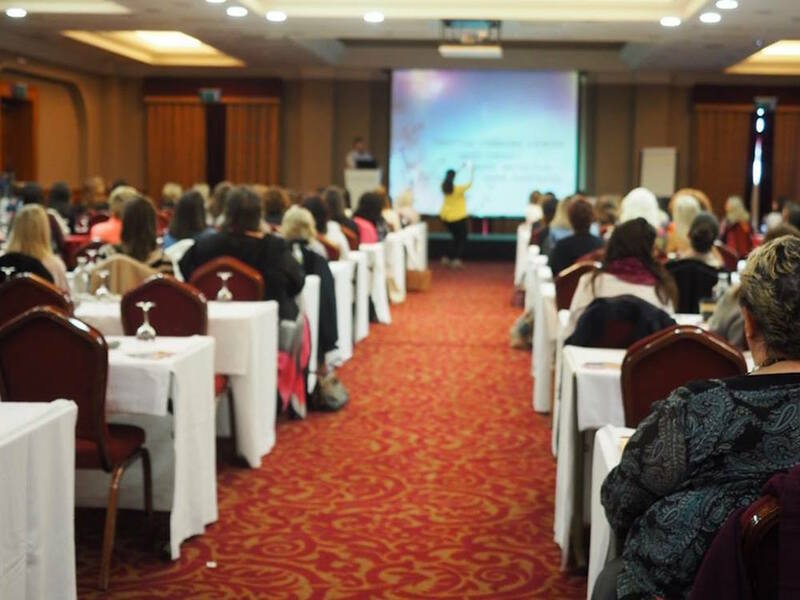 At the Women's Empowerment Summit you will learn from leading experts who will give you the direction, the clarity and the focus you need to achieve your goals, and you will network with like-minded women who have similar goals to you. If you want to improve your life or business, this is the event to be at! BUY YOUR TICKET NOW FOR THE NEXT EVENT! Early bird tickets SOLD OUT! Book your premium ticket now! 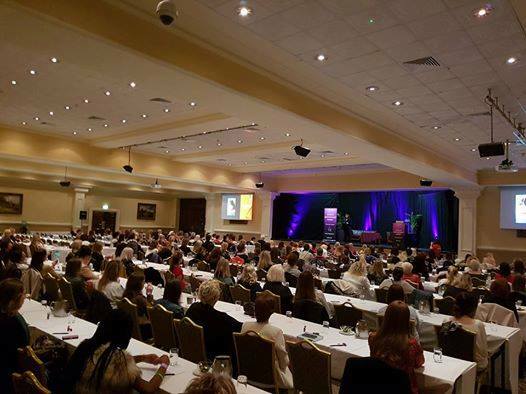 Donna Kennedy is a highly sought after professional speaker, psychologist, mentor, and four times bestselling author, with "The Confidence to Succeed" being her most recent release. Donna regularly features in media as an expert in the areas of personal and business development and her work has been endorsed by many well known personal and business development leaders, including Bob Proctor (The Secret), Brian Tracy (Goals/ Eat That Frog), Mark Victor Hansen (Chicken Soup for The Soul/The Power of Focus), Pat Slattery (Entrepreneur), Google and Boston Scientific, to name but a few. 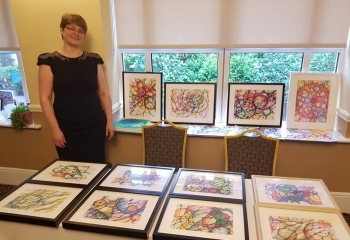 Her academic work has been recognised and published nationally and internationally by various faculties, including The American Journal of Psychology and The Irish Psychological Record. Her work has also been used and referenced by several leading organisations and multi-nationals to train staff and market product. Maura Derrane is a well-known Irish television presenter and journalist from Inishmore, County Galway. 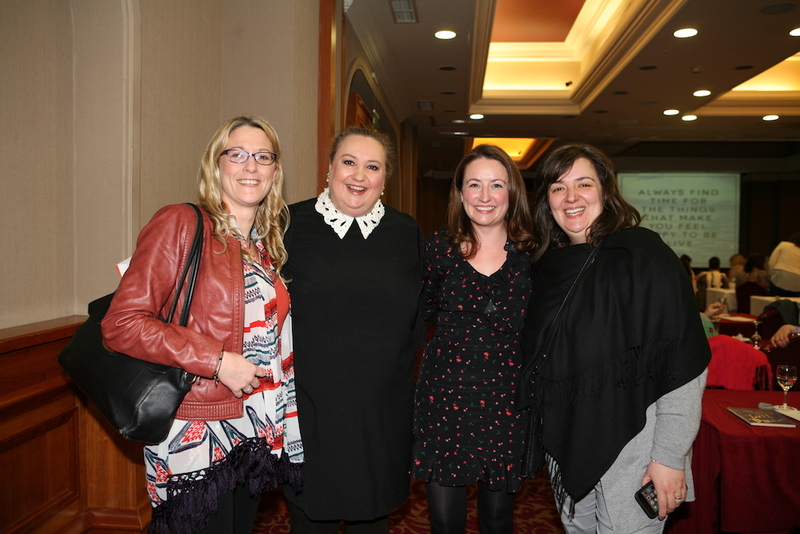 She began working as a researcher for RTÉ News in Galway and in 1996, she moved to TG4 as a news reporter. From 1998, she worked for TV3 News as a news reporter and crime correspondent, and co-presented Ireland AM from 2004 to 2006. She then advanced to co-hosting the hit TV show, Today - with Maura and Dáithi, and is now a household name. Maura became a mother to her son, Cal, at the age of forty-four and even though she has a busy life, she has described herself as a "lioness" to her baby (now four) and puts him top of the priority list. Juggling work-life balance is something many women struggle with so her tips here will be welcomed. 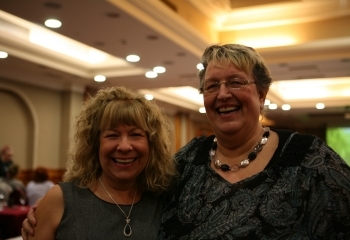 Maura best empowers women through her kind, caring and warm confidence. She shows strength in her femininity and embraces challenges with the right attitude, illustrating that if you want something don't be afraid to go and get it. Maura has some great advice on living a balanced life that you can enjoy and be proud of. Sene is an Irish rugby international in Rugby 7’s, 15’s and Touch Rugby. 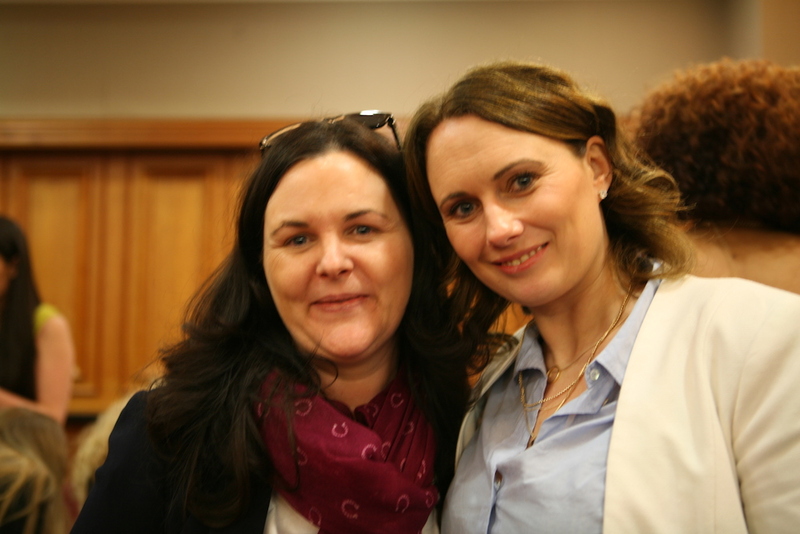 The New Zealand born Samoan and Irish business women was voted the Irish Times Top 30 Most Influential Women in Ireland 2017, a year after winning the Guinness Rugby Writers’ Player of the Year and the Rugby Players Ireland, BNY Mellon Player’s Player of the Year in 2016. She was part of 2015 Six Nations championship winning team, 2017 Rugby World Cup, the 2018 European Senior Mixed Touch Championship winning team as well as a former professional Seven’s player on the HSBC World Series circuit. The current interprovincial championship winning captain with Leinster and vice-captain for the Irish Women’s Rugby Team, helps lead the global agenda as part of the Rugby Athletes Commission for World Rugby and Global Player Council with International Rugby Players, towards the commercialisation of the women’s game. She also serves as a board director for national charity, BodyWhys. Her passion and experience for developing and promoting women and girls’ involvement in sport from leadership to participation to high performance, is reflected through her work with sports sponsorship relations, grassroots coaching, regular professional speaking for global companies and founding small businesses aimed at promoting sports involvement through physical activity and sports performance. 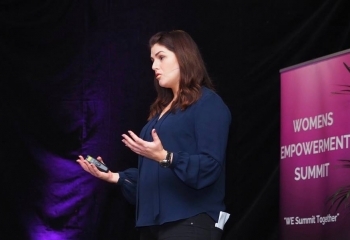 Sene’s academic work into emergent models in the development and delivery of women’s sport across five leading organisations in the world, reflects her passion for change management, sports governance and brand equity for women’s sport. 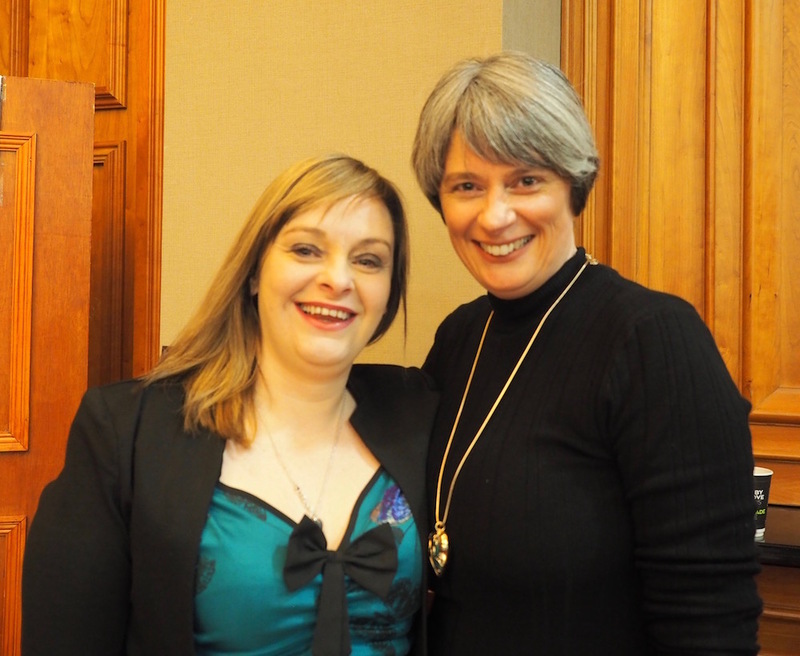 Her multi-operational understanding of the women’s game, has provided high-level insights to national governing bodies, provincial unions and media rights holders towards growing girls and women’s rugby in Ireland. advice, Cathy's passion for all things stylish resonates with people everywhere. She loves her job. 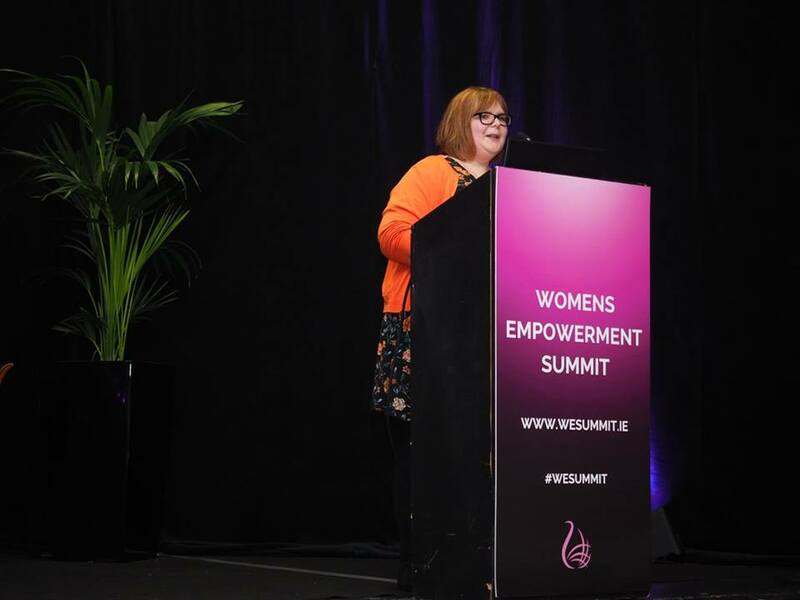 At the Summit Cathy will show us how we can all embrace and love our bodies, no matter our size or shape, giving you the confidence to be your best self. The first Strip and Dip was created. Approximately 50 women turned up. Since then the dip has taken place annually and in the first five years it raised €153,00 for Aoibheann's Pink Tie, Ireland's National Children's Cancer Charity. Dee decided to raise the bar and set another goal, to beat the world record for skinny dips! The event totally took off and on the day she had 2,505 women show up to dip. They smashed the world record and raised €503,000 from that dip alone, which funded a respite home in Crumlin for the families going through childhood cancer. 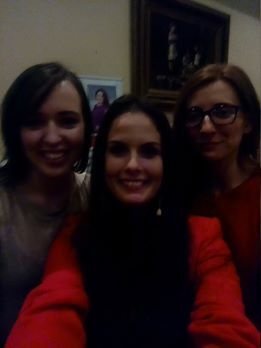 Since the dip last year they formed a choir of dippers (names were picked out of a hat) and 45 strong women sang their hearts out to This is Me on the hit TV show, Ireland's Got Talent. Six ladies at the front did a little reveal.... showing that there is no such thing as a "perfect" body, we are all perfect and happy with who we are. Four of the women had undergone mastectomies. The choir is called Sea of Change which defines the way Dee and her dippers felt after the dip. On Ireland's Got Talent, the crowd went wild in celebration as the choir got the Golden Buzzer straight to the live shows! Dee's motto is Together we are stronger - Women together can achieve anything. Let's get in the room and be upstanding for this amazing empowering woman! 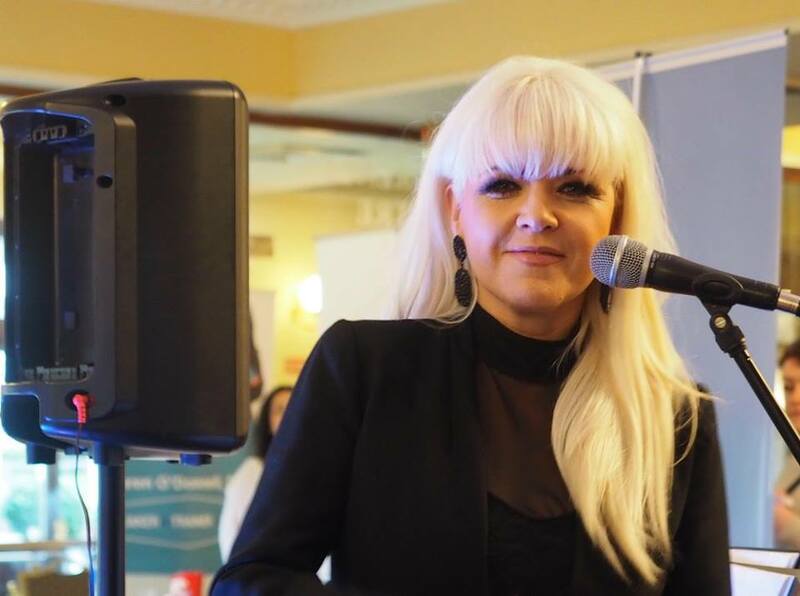 Tracey Smolinski is the founder and managing director of Wales’ leading independent business network, Introbiz. 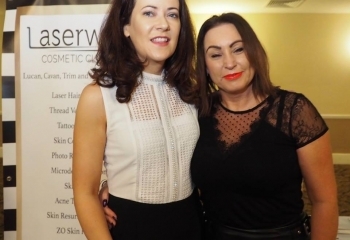 Since the company’s birth back in 2009, Tracey has become a highly successful businesswoman. Today, the network boasts over 300 members from a wide range of industries and sectors, while hosting 60 networking events a year in various 4 and 5 star locations throughout South Wales and host events internationally. She also trains in schools on behalf of the Welsh Government and is a proud Big Ideas Role Model. She is known for her commitment and drive to providing valuable information. Her talks are extremely powerful and compelling as she leaves the audience feeling completely energized and ready to take on the world! 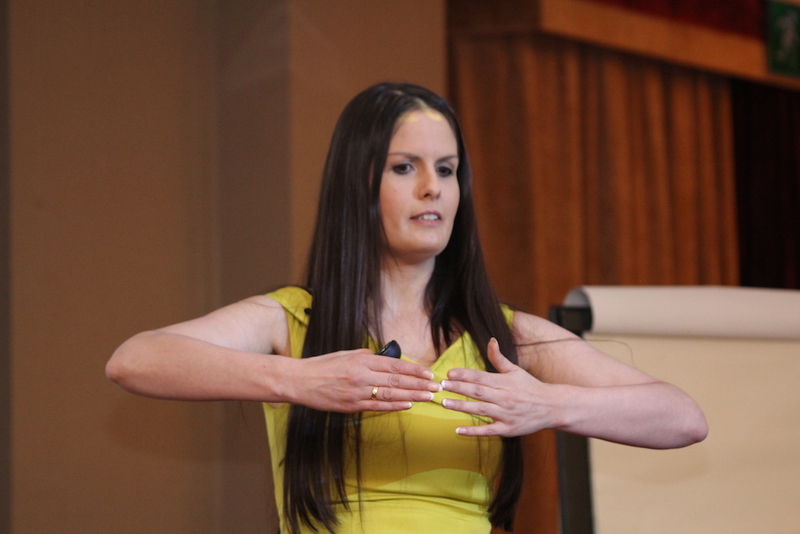 One of the reasons Tracey stands out as a speaker is that she brings her own personal experiences to her talks. 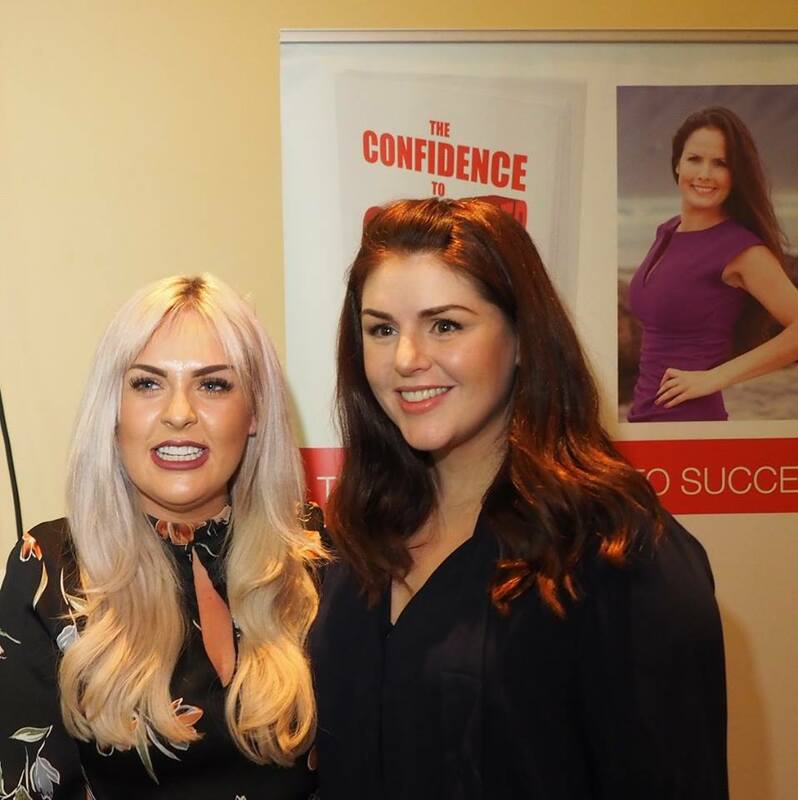 She speaks openly about how she got networking very wrong during her first three months as she was giving it the hard sell and almost completely gave up on it, but not before she took on some very sound advice. 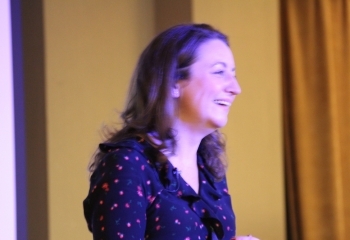 She started networking in the correct way, by building relationships and trust and went on to sell £100,000 worth of advertising revenue over the next 6 months. She saw first hand how powerful and profitable networking could be for business. 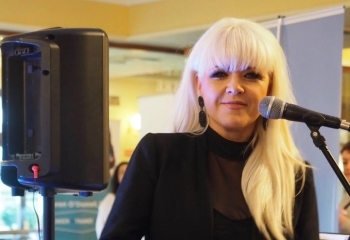 Tracey spotted a gap in the market and decided to start her own networking company, and so Introbiz was born! 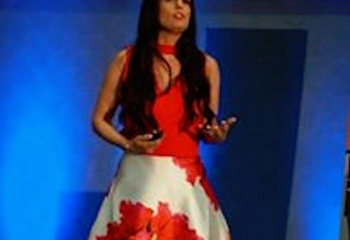 Tracey has shared the stage with Lord Alan Sugar, Grant Cardone, Hilary Devey CBE, Baroness Michelle Mone, John Lee, Jamie Baulch, Marie Diamond, The Apprentice winners Mark Wright and Alana Spencer and Sharon Lechter, an international bestselling author who is widely credited as being the genius behind the Rich Dad brand. Sharon is also Tracey’s mentor. 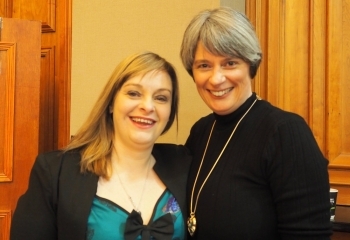 Having worked in the networking world for a number of years now, demands for Tracey to share her knowledge and experience have grown significantly, which is why she decided to write a book to help anyone who’d like any advice when it comes to networking. Tracey also discusses the trials she’s faced as a business owner and how her own experiences have shaped the businesswoman that she is today. Master Networking: 10 Steps to Building Business Relationships for Profit and Success, explores her tried and tested methods for effective networking. 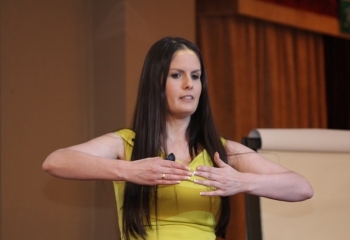 Tracey is also the founder of the Fortune in the Follow Up, a highly useful book where you can keep a track of your prospects, make notes and track your customers’ journey. Charlotte Caldwell CMC Ambassador, Mother and Campaigner for Medicinal Cannabis Denied appropriate medical treatment for her son Billy’s epilepsy in Northern Ireland, Charlotte travelled to the US to a leading epilepsy doctor in 2008 with the help of a public fund-raising campaign. His seizures came back in 2016 causing a further crisis and a return to the US where medicinal cannabis was prescribed by his specialist. A supportive GP continued this in Northern Ireland until he was forced to desist by the Department of Health and the Home Office. In the summer of 2018 the Home Secretary agreed to reschedule cannabis derived medical products after a very successful media campaign led by Charlotte and Billy which changed the law in Uk. Medicanal Cannabis was legalised. Christina Noble OBE, is an exceptional, inspiring person. She has by her own effort and example and with an unselfish willingness to serve, shown the world that street children are a vital part of humanity – that the abuse and maltreatment suffered by children can be stopped. By providing love, and by giving back dignity to over 700, 000 of these special children and their families in Mongolia and Vietnam. she has shown us that they can become empowered to fulfil their proper role in society. They can, and will be their countries future. 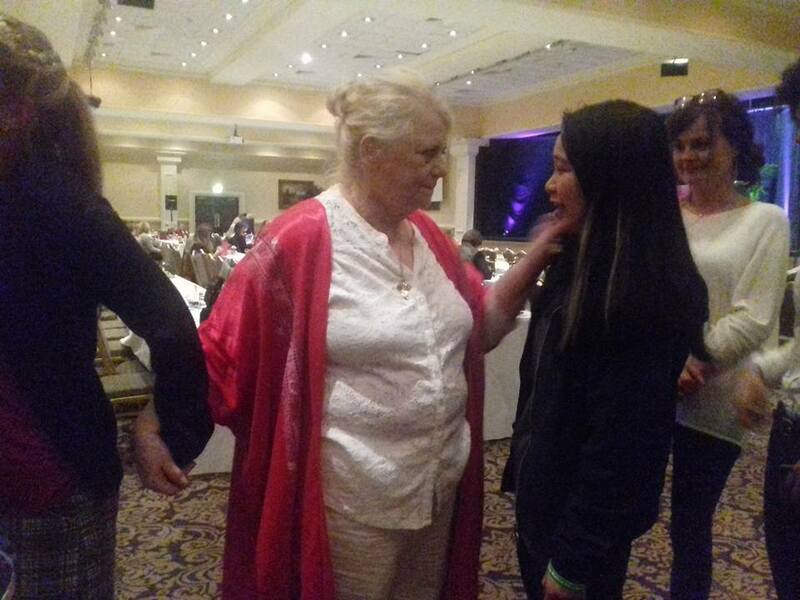 Since 1991 Christina Noble and her foundation have established over 120 projects/programmes in Vietnam and Mongolia. Today the work of the foundation impacts more than 20,000 children and their families annually. 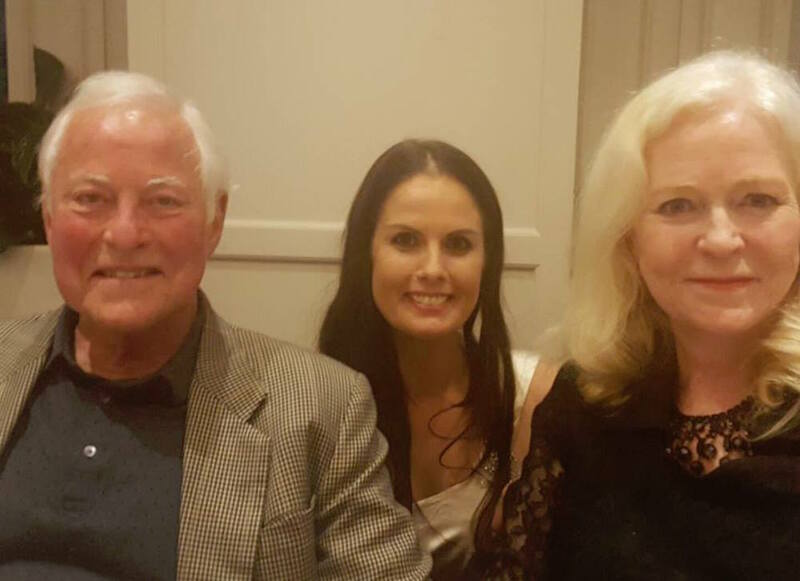 Born in Dublin, Ireland, in 1944; daughter of Thomas and Anne Byrne. Christina Noble is a child of the impoverished Liberties of Dublin during the 1940’s – 1950’s. Christina endured a childhood of loss, isolation and tragedy. After the early death of her mother, was separated from her five siblings and committed to an abusive state institution. Christina escaped several times and fled to England, only to find herself in a trapped and destructive marriage. In 1971 Christina had a dream that eighteen years later would lead her to Vietnam, to begin work amongst the forgotten street children (Bui-Doi – Dust of Life) of Vietnam. 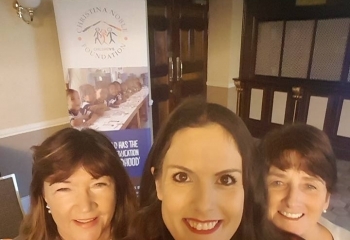 The children lived in appalling poverty and conditions but Christina committed to making a positive difference in their lives and refused to give up on them. This often required her to work in dangerous areas but her desire to help these children surpassed the struggles presented to her. 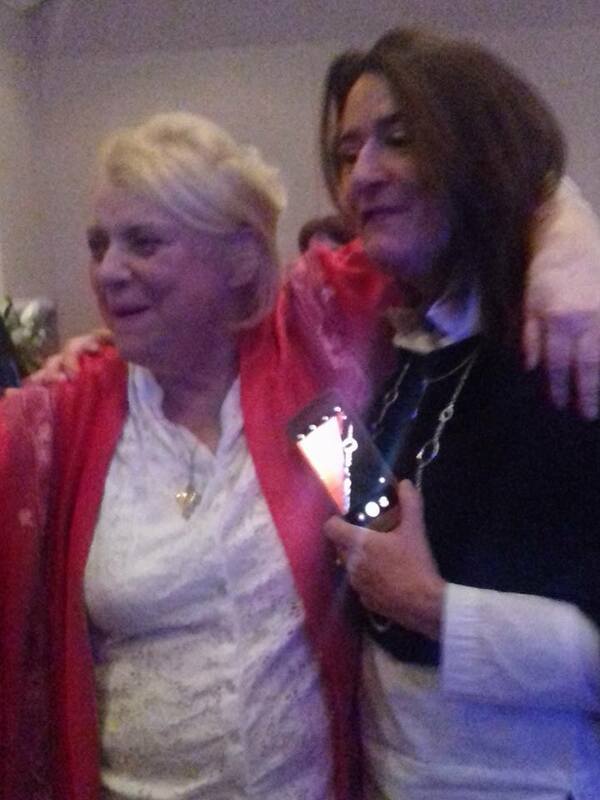 In 1991 the Christina Noble Foundation was established. It has since provided free medical care to over 6000 street and abandoned children per year and free education for hundreds of street children. Recognising the dangers on the streets of Ho Chi Minh City, and seeing the need to change the children’s attitude towards gangs, violence, drugs and prostitution, Christina also built a purpose built emergency residential shelter for young boys. 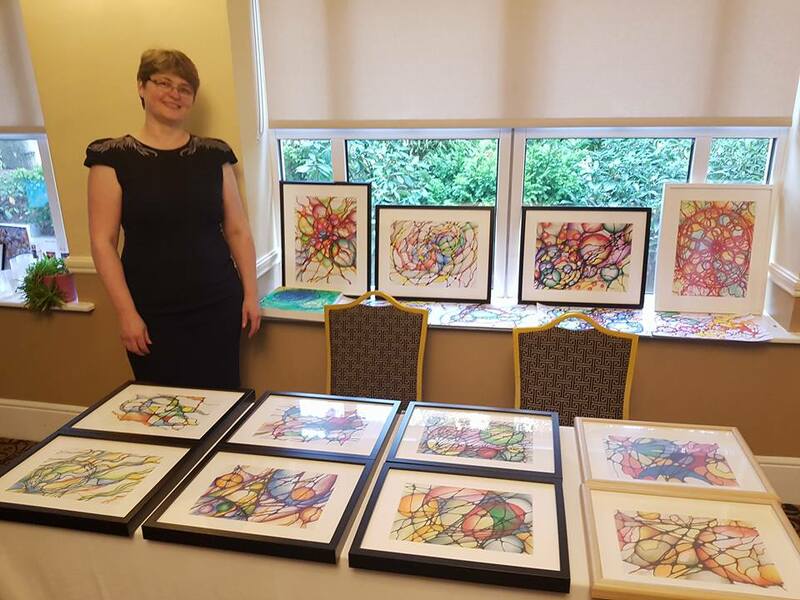 She later set up a sponsorship programme, worked with prison authorities to launch a prison education project and has established many other much needed changes in the lives of disadvantaged children, Her work is truly amazing. In 1992 Christina was officially acknowledged for her contribution to humanity and awarded the Medal of Peace and Humanity. She later received the Paul Harris Fellowship Award by Rotary International, The Hearts of Gold Award by the British Broadcasting Corporation. and the medal for The Ministry of Labour, Invalids and Social Affairs. In 1977 she was voted one of the top 20 inspirational women in the world by Harpers and Queen UK. 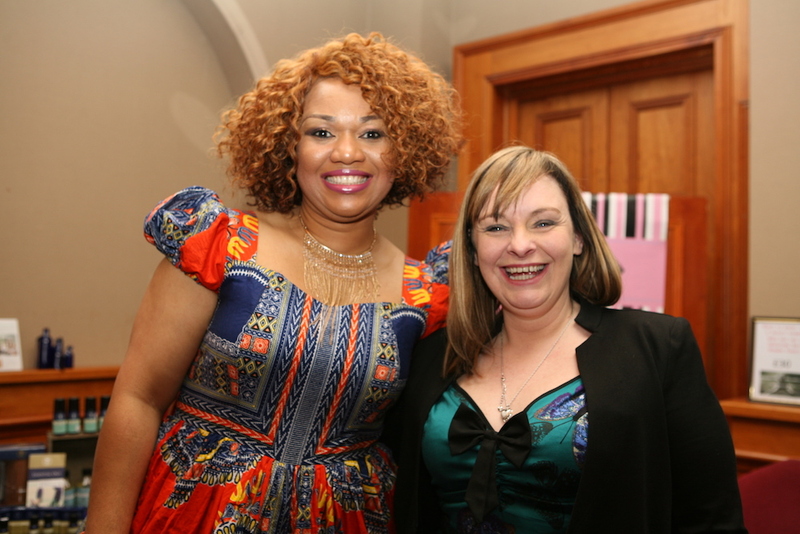 Niamh Kavanagh, an amazingly empowering woman, is best known for her Eurovision successes, representing her country twice and winning for Ireland. She has recorded many albums and collaborations, in particular lending her vocals to one of the best selling soundtrack albums of all time, The Commitments. 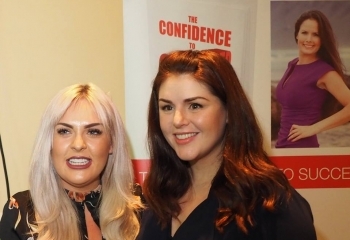 2016 saw Niamh remain at the fore with her winning participation in nationwide obsession, Celebrity Masterchef, and a return appearance as a judge on Junior Eurovision on TG4, requiring a brush up on her cúpal focail Gaeilge. 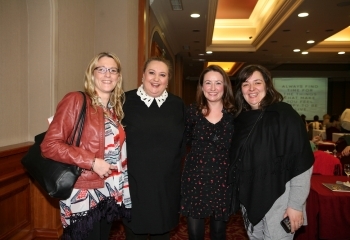 Prior to this, Niamh starred in the highly successful Irish tour of Menopause the Musical, as part of a four woman cast. She also starred as the Evil Queen in a multi-year run of the highly successful Tivoli Christmas Panto in Dublin. Niamh’s performance was described by reviewers as a ‘show-stealer’. Niamh retains a life-long love of live performance - her vocal talent and legendary audience rapport means she is equally at home holding court in crowded arenas as she is in intimate music venues. 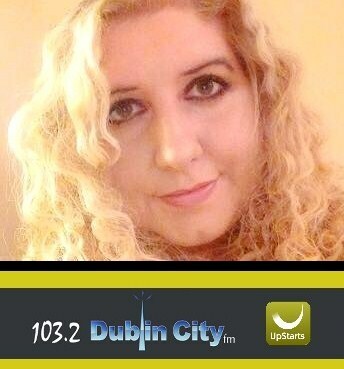 Niamh continues to record and is currently doing a nationwide show, Date Night, a retrospective of Niamh's extensive career. If you are looking to get a result that requires determination, dedication, focus and commitment, Niamh is a great lady to learn from. She doesn’t do things by halves! Derval O’Rourke is the ultimate championship performer and one of Ireland’s most successful track and field athletes. She is a three time Olympian (2004, 2008, 2012) in the 100m hurdles and was crowned World 60m Hurdles Champion in 2006. Derval is national record holder in the 60m hurdles (7.84) and 100m hurdles (12.65). She is a two time European silver medallist (2006,2010) and has won bronze twice at the European Indoor Championships in 2009 and 2013. Derval is a fitness and health enthusiast and features as a coach on the hit TV show, Ireland’s Fittest Families. 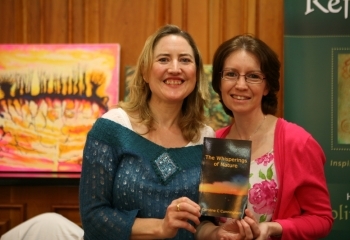 She is also a two time bestselling author. If you want to learn how to achieve your goals and you need focus, determination, motivation or the ability to persevere, Derval can show you how! Yemi Adenuga, often referred to as 'Energy in Motion' or 'SHERO of SHEROES', is a seasoned broadcaster of over two decades. This feisty Entrepreneur wears many caps at different times and wears them well. 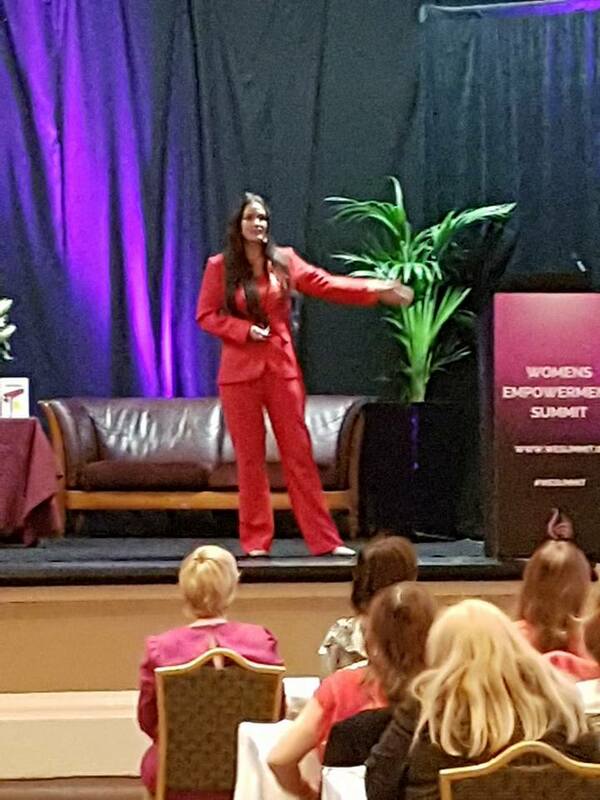 Listed as one of Ireland's 'Women of Influence' by Irish Tatler magazine, Yemi is a multi-award winning TV personality, a dynamic, international & high impact speaker, Relationship/Marriage Mentor, Broadcast Media Executive and Project Manager, with a passion and a vision to empower women & youth. Yemi is a game changer. She was the first female presenter to present a programme on the first private Radio station in Nigeria and the first director/producer of the first programme to be aired on the first private television station in Nigeria, Africa Independent Television (AIT). She hosted and produced a TV talk show, 'Sharing with Yemi' which was Nigeria's Number 1 leading talk show from 1996 – 2003. Yemi is a two-Time bestselling author of 'The power of THANK YOU' and 'Exploring Options'. 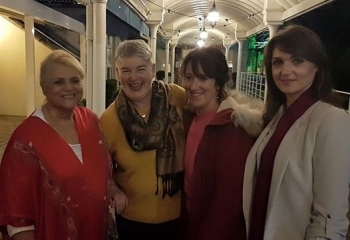 She has been invited to speak at many international conferences and Seminars on various issues and has made presentations to Ministers at the Irish National Parliament on issues of integration, social inclusion, diversity, racism and the development of an integration Strategy in Counties in Ireland. 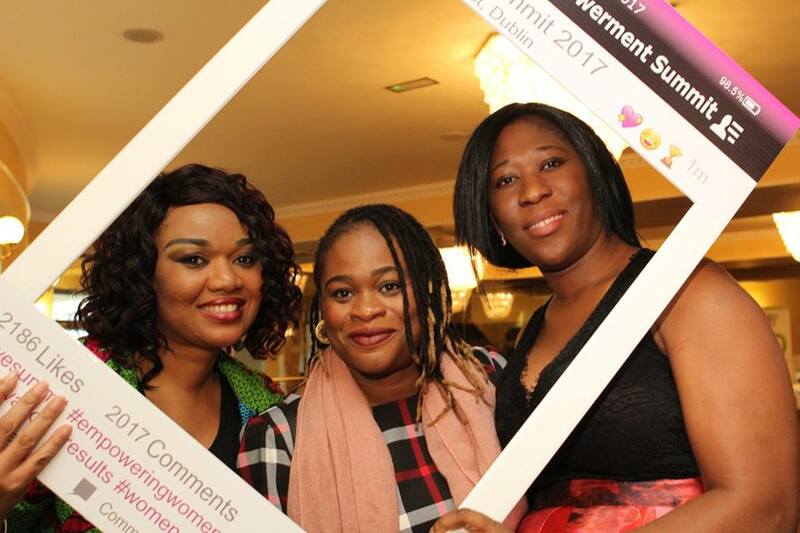 As a result of her hard work, Yemi Adenuga was described as a Nigerian 'Cultural Ambassador' by the former Nigerian Minister of Culture and Tourism, Edem Duke at the 2014 edition of Nigerian Carnival Ireland in Dublin. 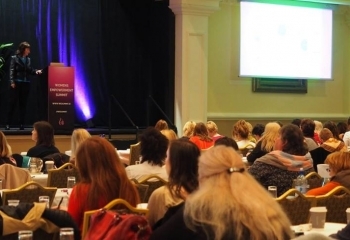 Yemi is a member of several professional bodies including the Institute of leadership and Management, Ireland, the MBA Association of Ireland and Project Management Association, Ireland. She studied Accountancy and Mass Communication at the Ogun State Polytechnic, Nigeria and holds a Diploma in Business Studies (Human Resource Management Stream) and a Bachelors of Business Studies (BBS Honours, Entrepreneurship Stream) both from University College Dublin. She obtained her Master of Business Administration (MBA) degree (Project Management stream) from the Liverpool John Moores University, UK. She holds advance diplomas and certificates in; Computerized Accounts and Payroll, Train the Trainer, Counselling & Psychology from the International Career Institute-Australia, Relationship & Couples Counselling from Oxford College-UK, PLA Research from Kimmage Development Centre, Dublin, as well as a certificate in First Line Management. She is married to Actor, Deji Adenuga and they are blessed with 4 children, the eldest of which is married and has made Yemi a Glam'ma (Grandmother). Yemi and her family, THE ADENUGAS, feature on the hit reality TV show, 'Gogglebox' on TV3. Maia Dunphy is a well known writer and broadcaster who stepped in front of the camera after over a decade of writing and producing. Maia Dunphy is a well known writer and broadcaster who stepped in front of the camera after over a decade of writing and producing. 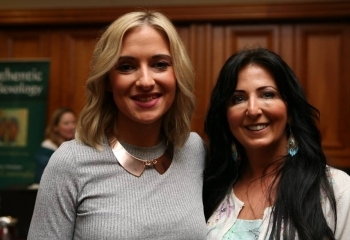 Her first venture on screen was 'From Boom to Maternity' which she wrote and hosted for RTÉ as part of the Reality Bites Series. Following that, she did her second documentary, Merlot & Me, which was the highest rating Reality Bites series that year. 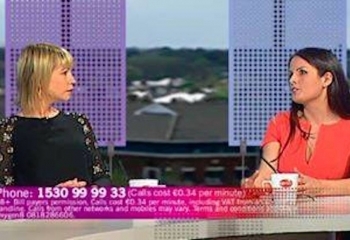 She then went on to make two successful series of Maia Dunphy's What Women Want in 2013 and 2014, followed by Maia Dunphy’s Truth About, which aired in Autumn 2015. Mai has also worked on many RTÉ comedy shows including The Podge & Rodge Show, Katherine Lynch's Wagon's Den and the IFTA winning Bronx Bunny Show. In addition to that she has recently released a book, “The M Word”. 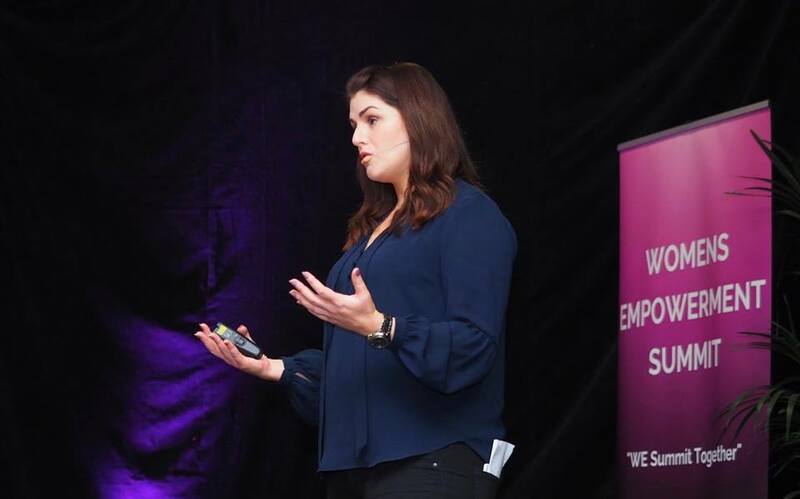 Maia has covered many diverse topics in her career, giving her a deep understanding of people, human behaviour and what it truly means to empower yourself. She comes from a very real place and you will learn a huge amount from her. To live with authenticity is something every person needs to be happy and fulfilled. Maia is authentic in all she does and will show you how to shine successfully as a unique authentic individual. 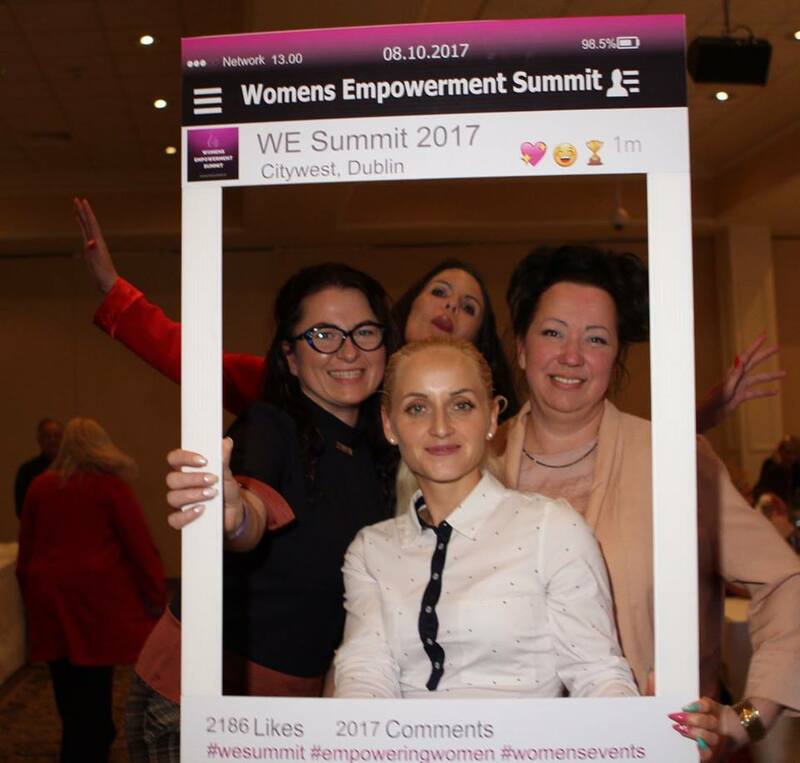 We are delighted to welcome renowned award winning actress, Deirdre O’Kane, to the Women’s Empowerment Summit. This lady is a fabulous powerhouse who knows how to live life to the full. 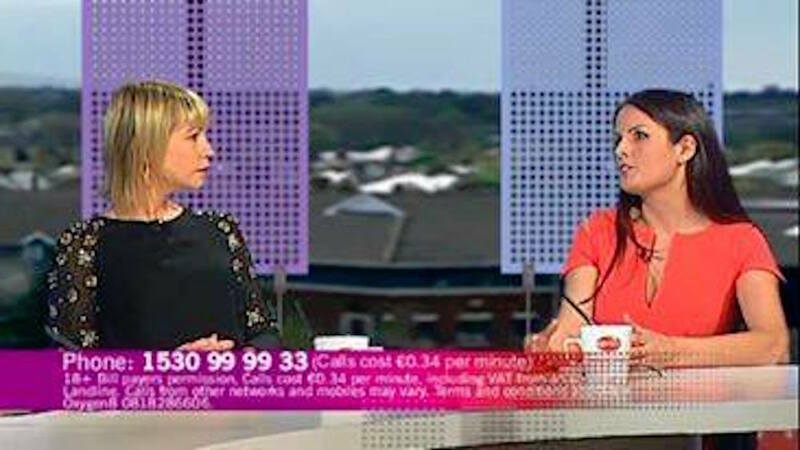 The last 12 months have been a whirlwind, with Deirdre voicing the hugely successful Gogglebox for TV3, producing Ireland's largest ever charity comedy show for Comic Relief at the 3Arena, hosting the revamped IFTA Film & Drama Awards for national broadcaster RTÉ, and most recently hitting the dance floor on RTE smash hit, Dancing with the Stars. Irish comedy’s prodigal daughter has also made a long-awaited return to her stand up roots; she delighted audiences across the country with the sell-out show 1 Dee in 2016 and 2017. She will tour a brand new show, A Line of O'Kane, nationwide in 2018. Joy is a former Irish rugby International captain, holding 70 international caps for 15’s and 15 caps for 7’s. She was part of the Six Nations Grand Slam winning side in 2013 - the first Irish team to achieve the feat. first women to officiate in the European challenge cup. She is the first Irish lady to referee in the HSBC 7's rugby World Series and she is the only woman on the pro 12 development panel of referees. Joy is a fantastic example of someone who has achieved the seemingly impossible. If you have goals and you're not quite sure how to make them happen, Joy will show you how. Síle is the youngest of four children, and grew up in the village of Spiddal in Connemara on the west coast of Ireland. 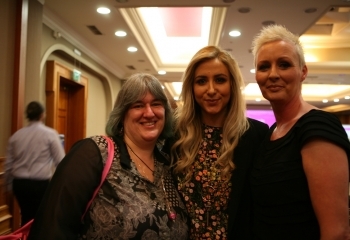 She is fluent in Irish and has spent the past nineteen years working in the media industry, primarily as a Television and Radio broadcaster.Presenting and researching TV projects on all TV stations in Ireland; RTÉ, TV3, TG4 and Oireachtas TV in Entertainment, Daytime, Lifestyle, Factual, Young Peoples, Sports, Comedy, Weather and News and Current Affairs programming, and presenting and contributing on various radio stations from Newstalk 106-108, RTÉ Radio 1, iRadio, Beat 102-103 and Sunshine106.8. She also works as a voice over artist, event MC, singer, actor and writer. And in 2016 she added another string to her bow by becoming a certified yoga teacher. 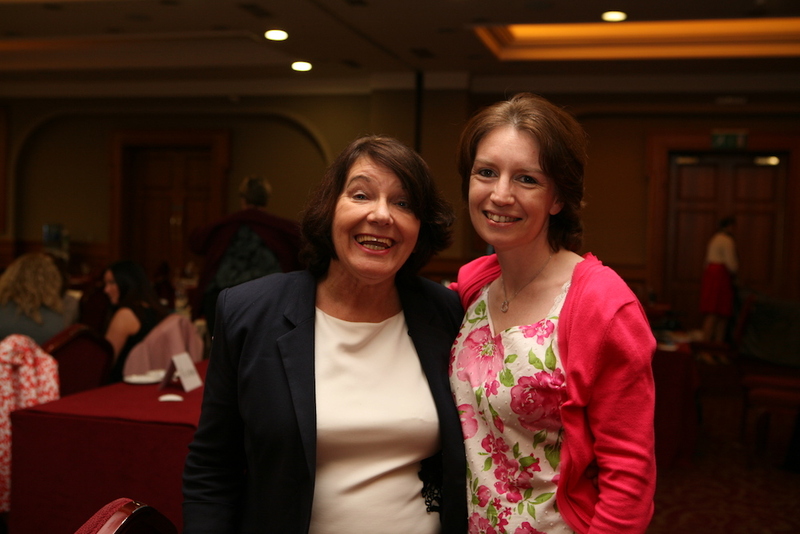 Síle also has a particular interest in health and wellbeing and for good reason. In 2011 she was diagnosed with thyroid cancer, an experience that changed for life in every way. She had to accept that she may lose her voice as a result of the surgeries to remove the tumour and gland and as someone who makes a living from speaking this was a major wake-up call for her. Through the practice of yoga and becoming aware of her body on all levels; physically, emotionally and mentally, she has learnt to deal with the challenges she has been given, listen to her body and to appreciate the gift of living an authentic life. She will show you how you can too. 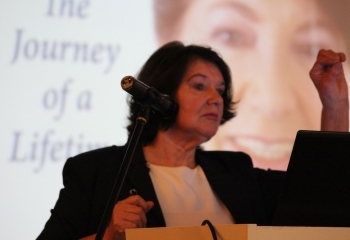 Bibi Baskin was the first woman in Ireland to have a TV chat show of her own. Her career also brought her to the UK where she presented both radio and TV programmes for the BBC and ITV. Throughout this time she had developed a significant interest in the Indian system of Wellness, Ayurveda. And so she went to Kerala, south India, to learn more. She spent a total of fifteen years there where she owned and managed a heritage hotel which also featured Ayurveda. 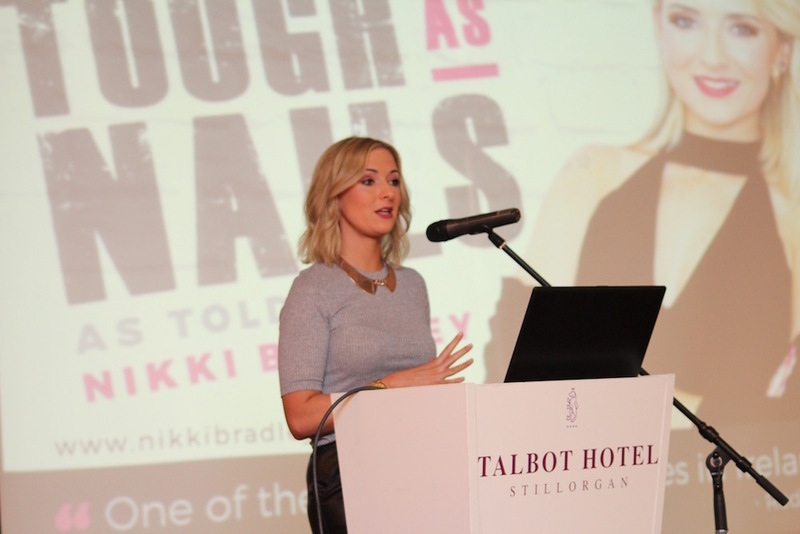 She has returned to Ireland and gives Motivational talks around the country on the subject of inviting change into your life and illustrates how she coped with this on her varied career path. 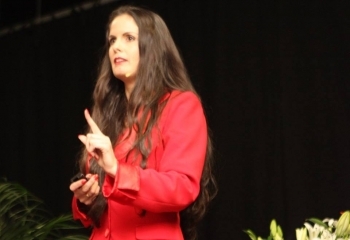 Dr. Gloriane Giovannelli is a private consultant and international speaker for Health and Wellness. For over 20 years, Gloriane has been inspiring and motivating people to make choices that empower them, and help them to have real impact in their own lives and the lives of others. 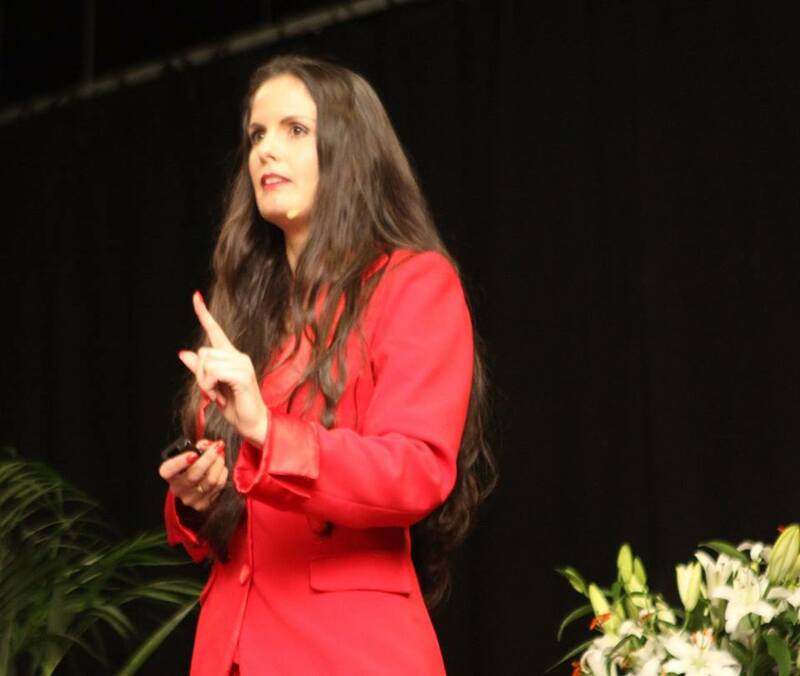 Gloriane is recognised internationally as a powerful resource on topics such as nutrition, weight loss, relaxation, mindset and personal transformation. 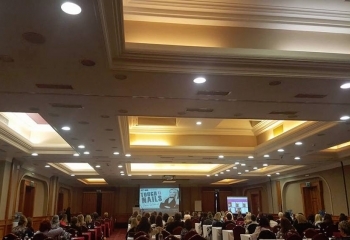 Gloriane is honoured to be the Health and Nutrition Expert for the non-profit Aunua Academy, which aims to help teenagers to be more resilient against all types of bullying, self-harming, pressures on body image and ultimately the prevention of suicide. It reaches children and schools worldwide through a free online educational platform. Originally, from New York, Gloriane first came to Ireland in 1993 and fell in love with the country and the Irish people. Her degrees include: Doctor of Chiropractic, B.A. Psychology and B.A. Advertising, as well as a Certificate in Plant Based Nutrition from eCornell and the T.Colin Campbell Center for Nutritional Studies. Currently serving on the Forbes Coaching Council. World-renowned speaker in over 35 countries including Keynote in China at Global Leaders Economic Summit for presidents, heads of state and CEOs for technology. Award winning entrepreneur, writer and speaker since 1985 at the age of 19 when she started her software company including awards from Senate, Assembly, and the White House Presidential Award from President Obama. Pioneer on the internet developing brands, websites, SEO and now social media since 1994. Featured expert in over 22 National and Local TV as a trusted resource for technology, internet and social media including ABC, NBC, CBS, FOX and appeared in 3 motivational movies. Global leader serving thousands of clients around the world to develop a fully branded end to end website presence so they can professionally match, rise above the competition, and reach millions with their message. Orlaith Carmody is the author of Perform As A Leader (Ballpoint Press 2015) and Without You, Living With Loss (Ballpoint Press 2018). 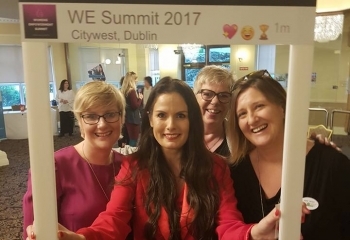 She is a highly skilled corporate trainer, leadership consultant and strategy coach and has worked with some of Ireland’s most influential business people, networks and political groups. Following an early career as a broadcast journalist with RTÉ, Orlaith became an entrepreneur and is a director of a number of SMEs in media, recruitment, production and education. 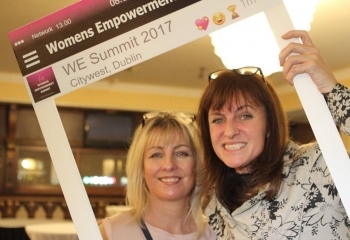 She served on the board of RTÉ from 2010 to 2015; the board of HRM Recruit from 2011 to 2016; and was President of the Irish Chapter of EO, the Entrepreneurs’ Organisation 2014/2015. She is currently Chair of Home and Community Care Ireland (HCCI). 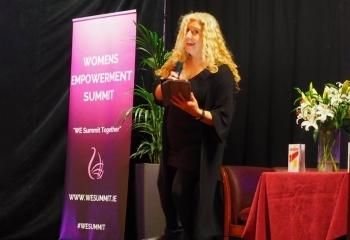 A regular commentator on television and radio, Orlaith spoke at TEDx Tallaght 2013; TEDx DCU 2015; the SME Assembly, Naples, 2014; and is a lead coach and speaker at the training and development programmes run by Women For Election. 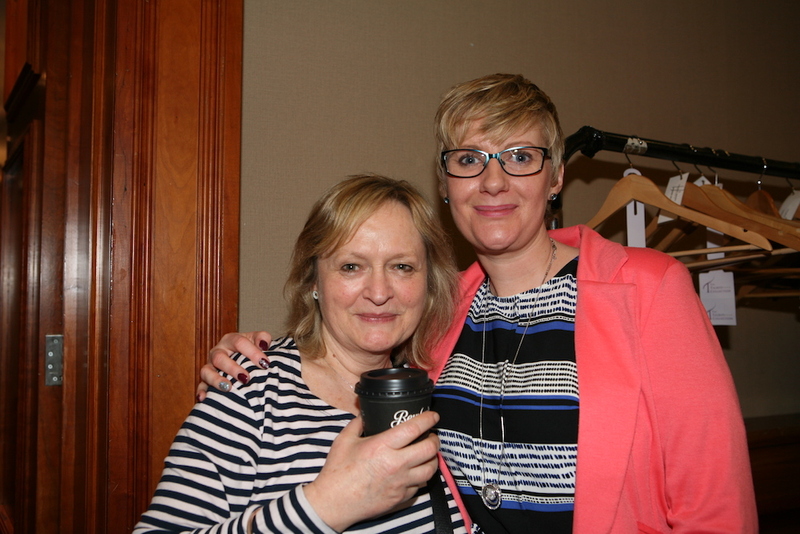 She is a Director of not for profit Ablevision Ireland, and has also supported Our Lady’s Hospice and Trocaire. 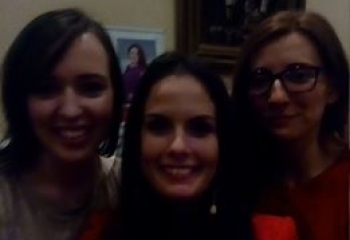 Orlaith holds an MA from Dublin City University (D.C.U.). 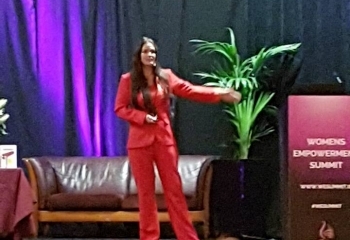 She is a Fellow of the Irish Institute of Training and Development (IITD); a Certified Management Consultant (CMC); and a member of the Institute of Directors (IoD). 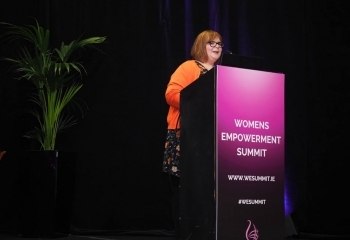 Áine Toner is the award-winning editor of Woman’s Way magazine, currently the Consumer Magazine of the Year (Irish Magazine Awards). decade and is also the editorial director for Irish Tatler Man. She has previously worked for national daily and regional newspapers and magazines plus BBC Northern Ireland. She contributes to television and radio shows and her particular love is books. 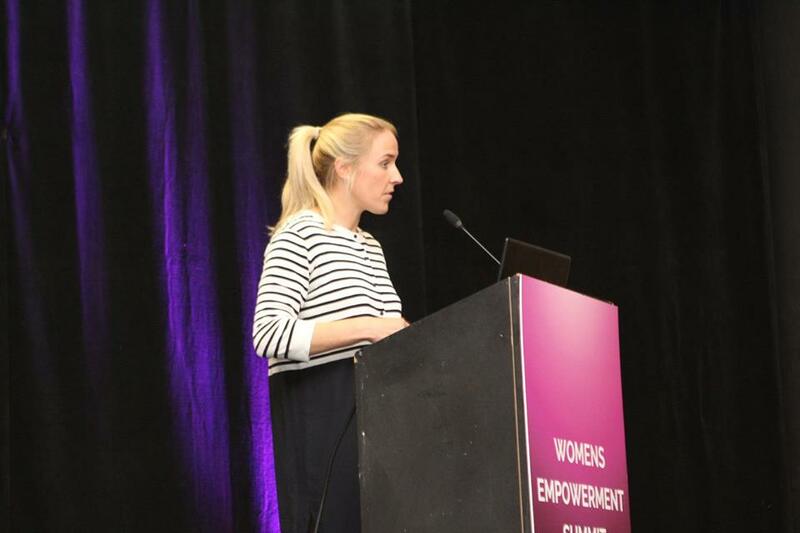 Aine is an fantastic example of female creativity and leadership. 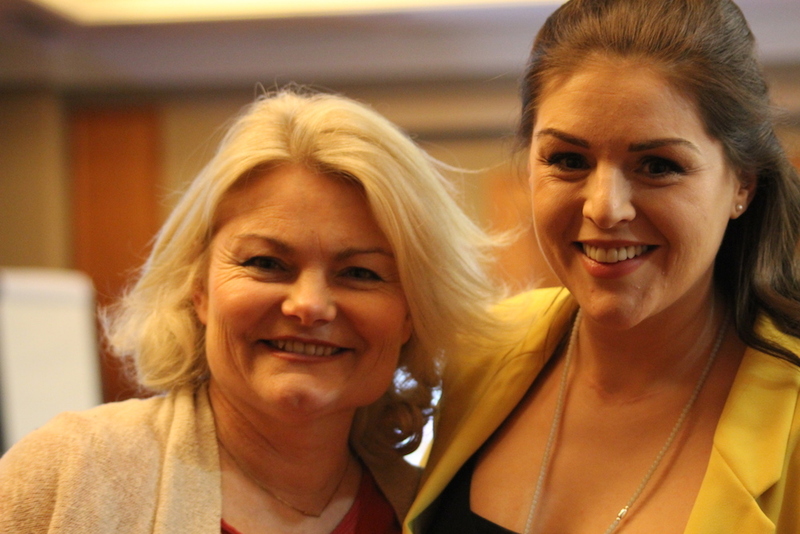 Joanne Byrne is co-founder of the renowned PR and communications company, Presence Communications. As a leading agent and publicist to many top national and international brands and personalities, Joanne is the lady to listen to when it comes to branding, including branding yourself! She can empower you to recognise your unique identity. Joanne studied pure English in UCD before embarking on a MBS. She worked as a copywriter, or as her business partner likes to call it a "kipiwroter", due to Joanne’s love of spell check before working for a film company where she worked on everything from premieres to choosing a carpet that would work with dropped popcorn! 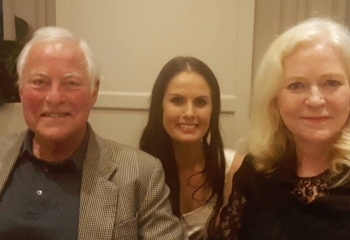 An opportunity to work for the children’s charity ‘Variety’ gave her the chance to help disadvantaged and disabled children whilst building relationships in the worlds of business and entertainment. 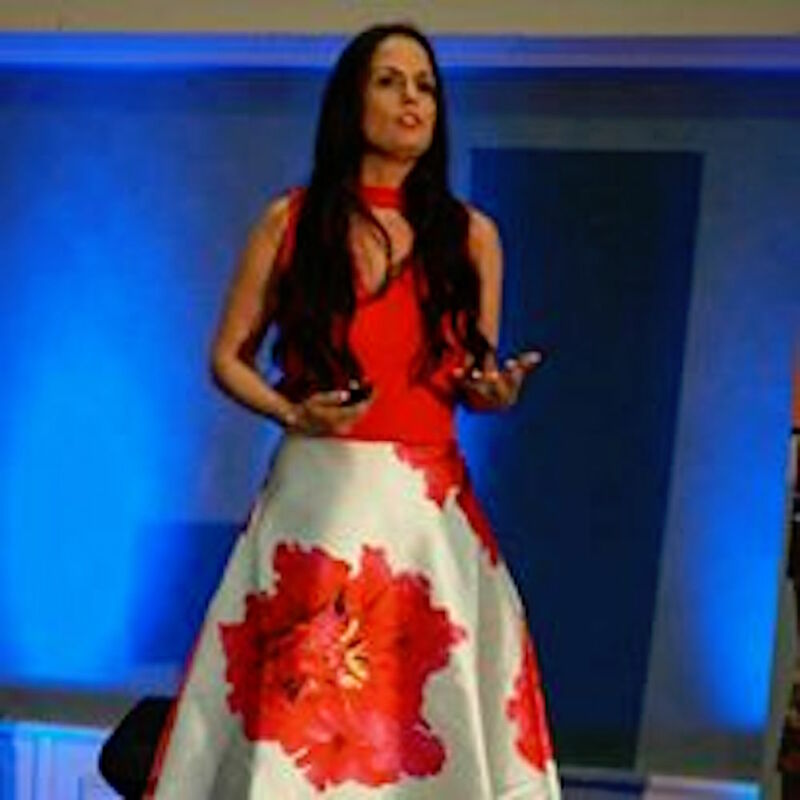 She joined a PR agency before setting up Presence PR with her business partner Sinead Ryan in 2003. 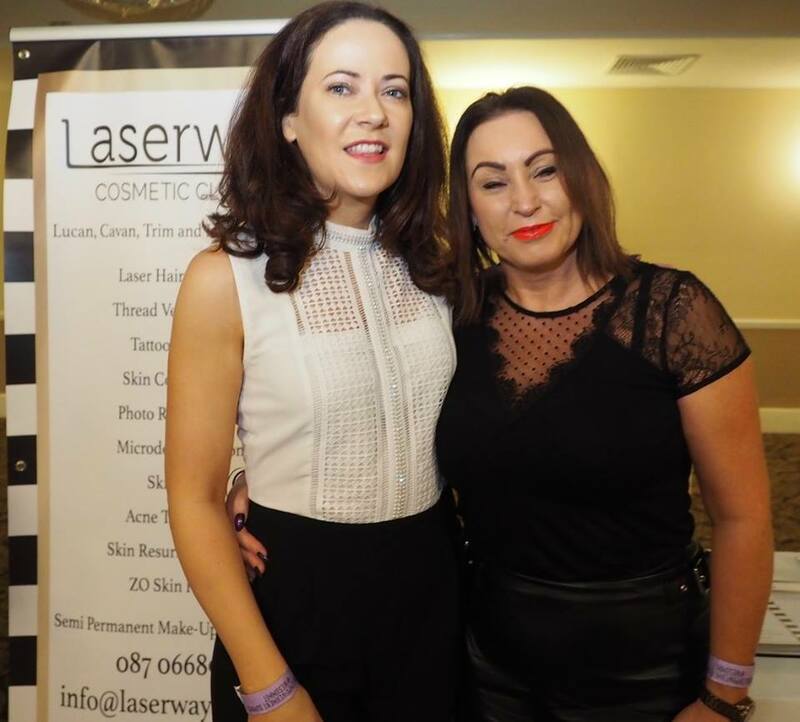 She is passionate about Kerry pointing out that Sinead chose the business’ bank but she chose the company colours – green and gold! 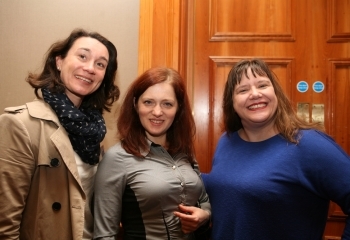 The ConnectIreland Group encompasses three pillar organisations, ConnectIreland, Startup Ireland and the Irish Diaspora Loan Fund. 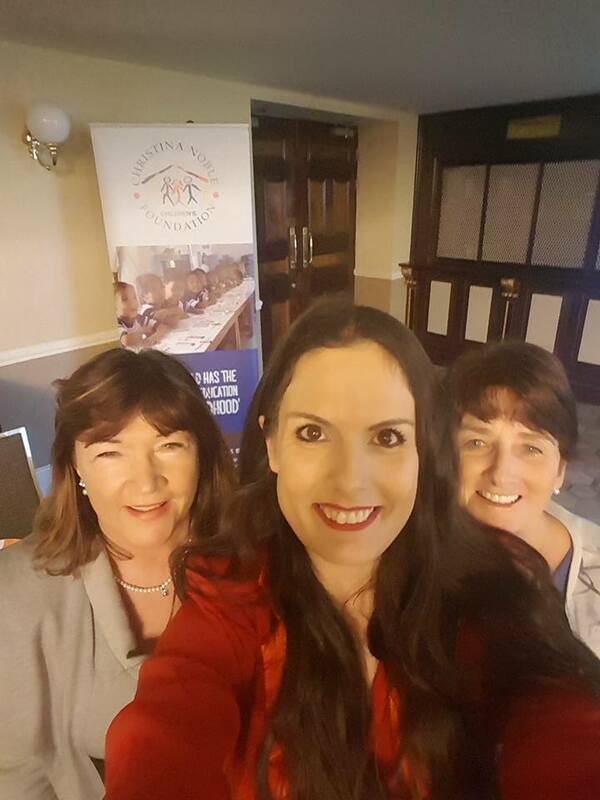 Joanna Murphy is the Chief Executive Officer of the group, Director of ConnectIreland, Board Member and Director of the Irish Diaspora Loan fund. She holds a first class honours degree in business studies. 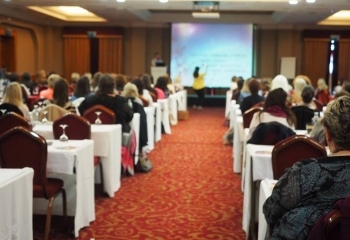 ConnectIreland began as a globally unique job creation initiative which emerged from the Global Irish Economic forum in 2011, and has been responsible for the creation of thousands of jobs. The programme is internationally award winning and is recognised as a global exemplar of best citizen engagement with almost 100,000 connectors in 147 countries worldwide! The mission of ConnectIreland originally was to mobilise the Global Irish community to introduce companies planning to expand to Europe to Ireland, however under Joanna's stewardship the initiative has morphed into a much larger inward investment promotion agency which seeks to encourage companies to establish in Ireland, expand to Ireland, or to invest in Ireland through the Irish Disapora loan fund, thereby creating employment, most particularly in regional Ireland. Joanna's expertise is in inward investment and Irish economic development. She will show you how you can excel in a demanding role and achieve what you want in your life and/or business. We had a phenomenal day at the Women's Empowerment Summit. I was absolutely blown away by the resilience and strength within each of the female speakers and thanks so much for so eloquently sharing your stories with us and empowering the women of Ireland Thank you Donna Kennedy for organising such an amazing event and we cannot wait for the next one on the 12th May 2018. Bring your mammies, your sisters and your friends and be truly moved and inspired! "The Women's Empowerment Summit will undoubtedly be marked as a seminal moment in my life. 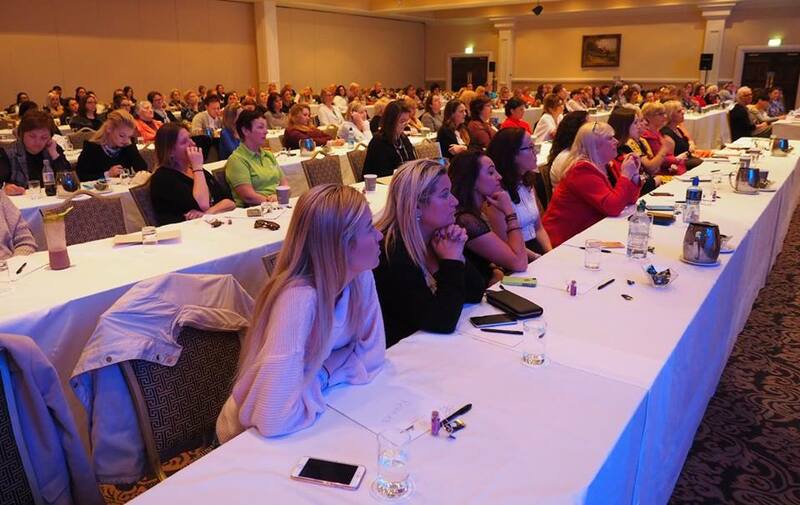 The event headed up by the amazing Donna Kennedy has the ability to instill in every attendee that they can achieve the incredible. Donna has a gift and the best part is that, this is a gift she happily shares. If you want to feel empowered, enlightened and energised then reach out to Donna and enjoy becoming the best you can be." "I thoroughly enjoyed your Women’s Empowerment Summit on 26th March. It was an amazing day, very inspirational and motivating. 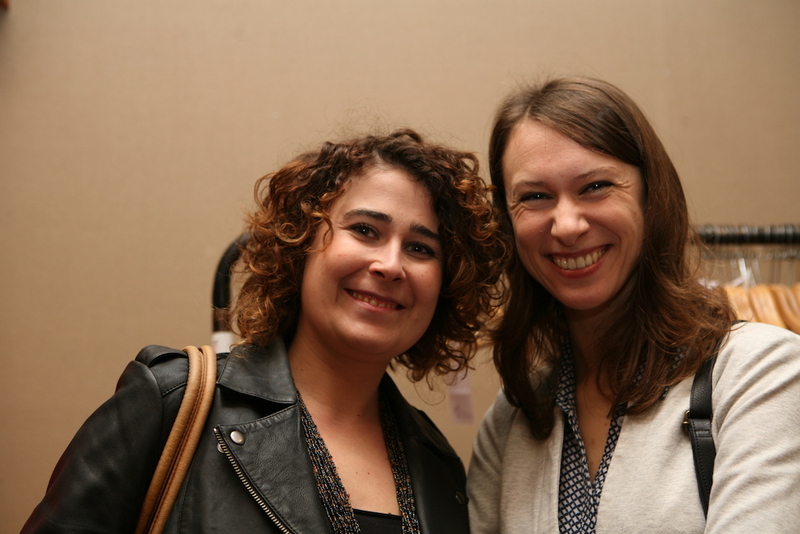 Your speakers were also so inspiring and interacted in a lovely way with a full house of attendees. Looking forward to the next one!" 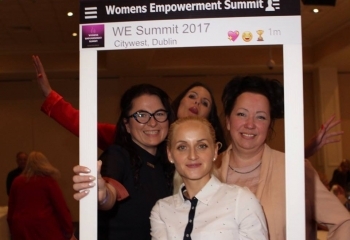 "I was delighted to attend the inaugural 'Women's Empowerment Summit' on March 26th as one of six speakers. It was a fantastic day from start to finish and a very well run event. I would encourage those who were not in attendance to purchase your tickets early for next year as I am predicting an even bigger event for 2018!" Thank you so much for being a fantastic role model for me, but also for my children. My daughter (12) and I attended your Women's Empowerment Summit in March ’17, and being an introverted little girl who lacks confidence along with other issues, she hugely benefitted from listening to people who’d overcame massive obstacles and challenges in their own lives to achieve the ‘extraordinary’. She really was blown away by their stories.Your own story inspired her most of all, and I have to agree with her. 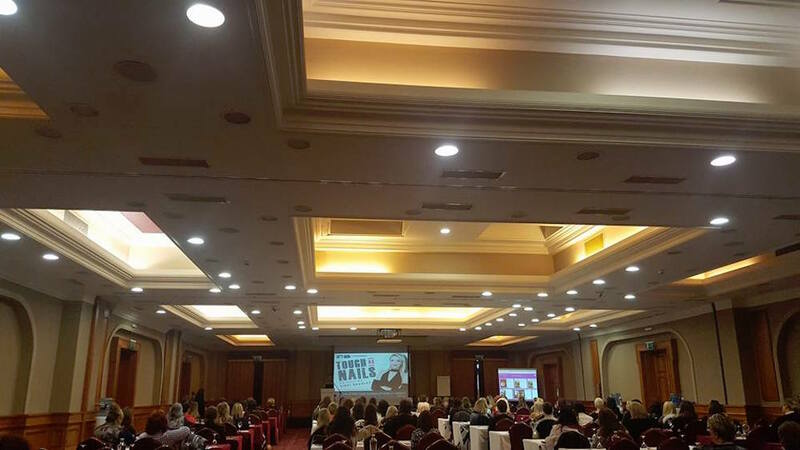 The energy in the room was fantastic, it would inspire anyone to want to improve their life, regardless of where their starting point is. I’m so grateful for the opportunity to be introducing both of my daughters to such strong women at their young ages, I think it’s so important and invaluable. I would recommend to anyone wishing to start up or improve a business or wishing to improve your life and gain back your sense of self-worth, to attend ANY workshop or event organised by the wonderful and kindest lady I’ve met in quite some time, Donna Kennedy. 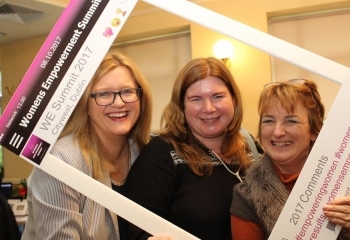 I know I’ll certainly be there and can’t wait for the next event"
"What a wonderful day of positivity and possibility at the Women's Empowerment Summit, with inspiration for business and life for women of all ages. 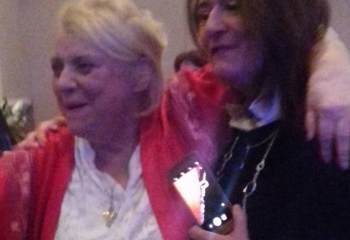 My 23 year old daughter accompanied me to the event and it was such a lovely mum/daughter day out together, with wonderful speakers and Donna's lovely touch." 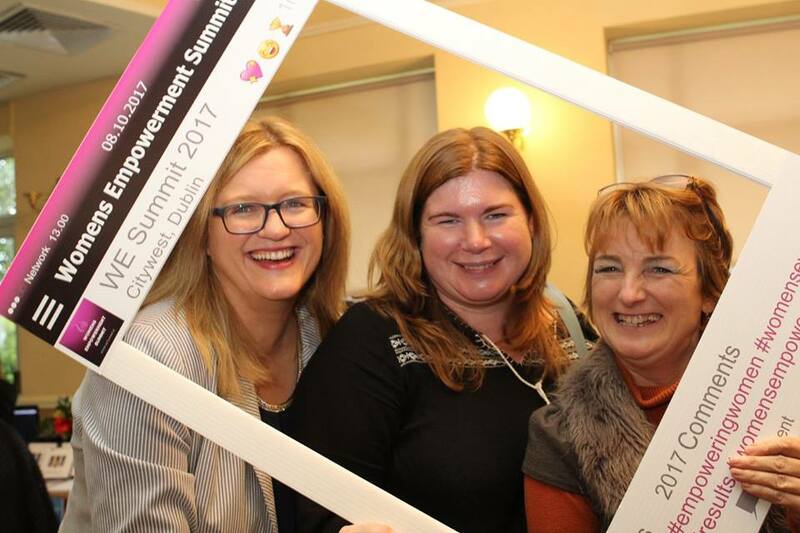 "Fantastic day a the Women's Empowerment Summit, great way to spend a day with 100s of like minded women. The calibre of speakers on the day was exceptional. Something for everyone to take away, lots of information for business that can be implemented to improve and great inside to future trends. 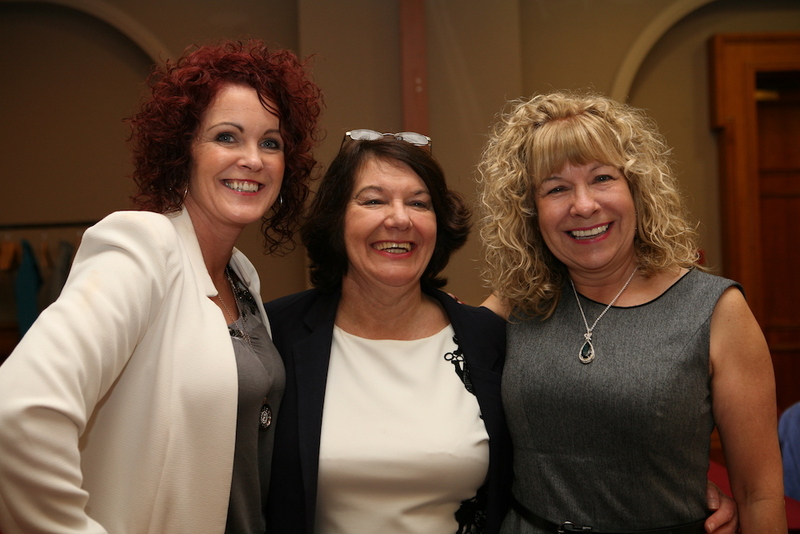 The personal growth was evident especially in Donna's talk.A day packed with value and I highly recommend you attend." 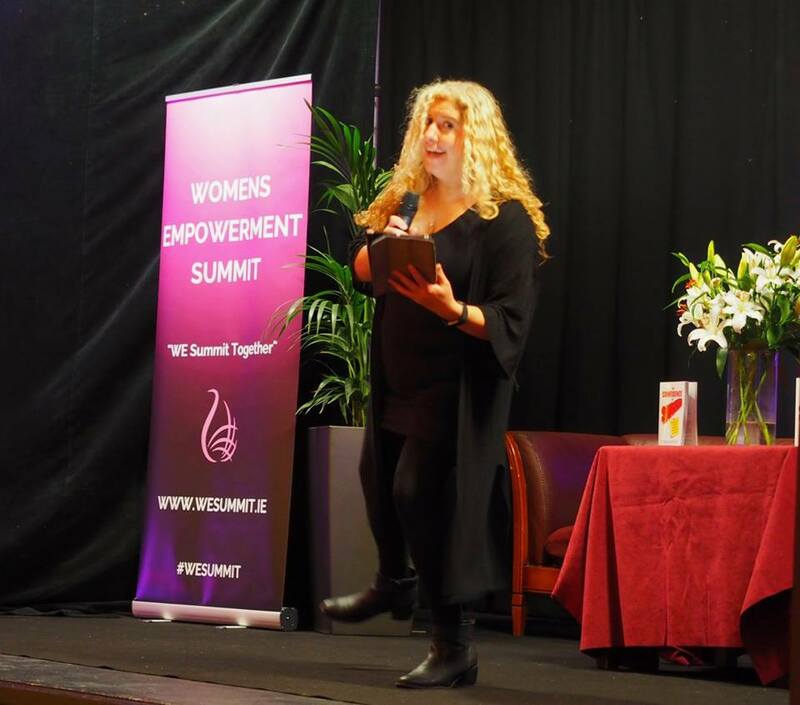 "The Women's Empowerment Summit was an amazing day, with so many inspirational speakers. 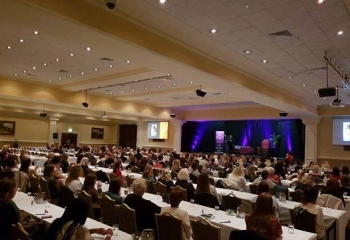 The energy in the room on the day was none like I'd experienced before with women from all walks of life looking for inspiration for themselves or for their business. The organiser, Donna Kennedy, an old school friend of mine is truly a beautiful amazing and unique person, I've always known this but to see her on stage telling her story and passion for life with everyone was a emotional but proud moment for me. It has made me look at my life and strive to be the best I can be. I am looking forward to the next one! " 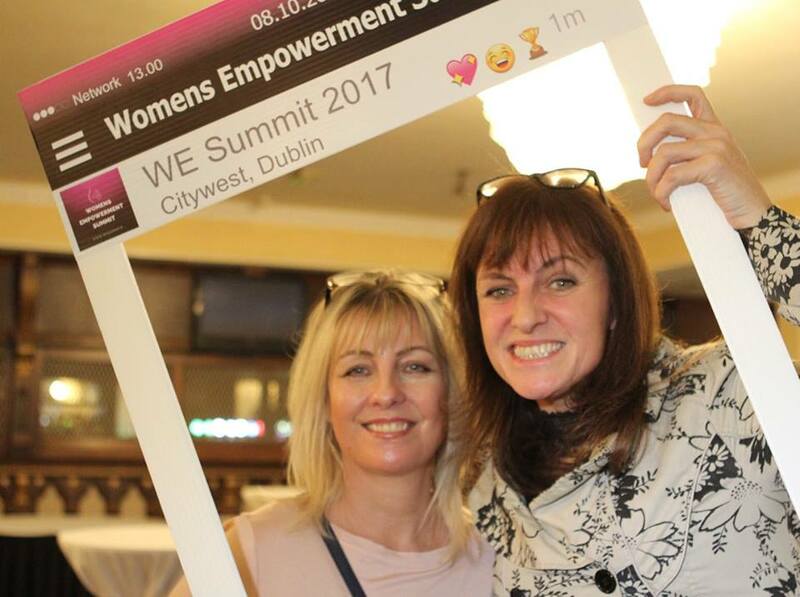 "The Women's Empowerment Summit 2017 was an amazing experience for me because it did what it promised to deliver - to inspire, motivate, connect and empower women in a beautiful way. 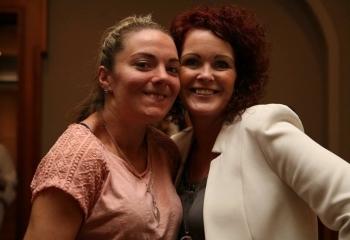 It actually felt like a family gathering - the positive energy in the room, the encouraging personal stories and the practical tools shared were life changing for me.Thank you Donna for putting your heart and soul into this event! I am so looking forward to the next one. "I booked my place at the summit with great apprehension. I was very nervous and even suffered with anxiety leading up to the event. However when i arrived I was pleasantly surprised. The day was relaxed and full to the brim of inspiring people and their stories. I attended with the idea of bettering my business and growing my new business. 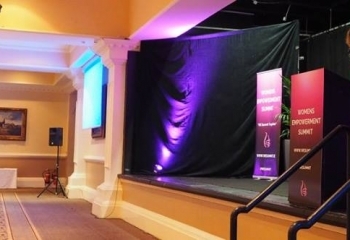 I feel it helped my business and I found that the speakers really gave me a "kick up the bum" for my life. To get up and go, and not expect life to hand me things. I will definitely try to attend again in the future and hope to meet some of the wonderful people again! 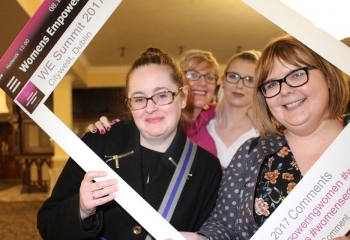 "I attended the Women's Summit in March '17. On entering the room the atmosphere and excitement was magical. To see so many Wonderful Women come together to improve themselves for the better. It was an amazing day. All the speakers were incredible, their stories so inspirational they were mind blowing. I learned from them all that with hard work, commitment , dedication and focus one can achieve and become extraordinary. Donna you are the kindest, beautiful and the most inspirational woman I have had the pleasure of meeting. Thank you for your encouragement. You are Amazing. I am so looking forward to attending future events. I also encourage anyone that has not attended one of Donna's it's a must. Thanking you"
"The Women's Empowerment Summit was the first event I'd been to of this kind. I had no idea what to expect but I was blown away by the tremendous energy and positive vibe in the room. Each speaker had incredible inspiring stories - many of their words are still replaying in my mind. I particularly loved Donna's straight taking and powerful messages - so refreshing to hear! I am very grateful for having a part of it of all the connections I made and am excited to attend future events. Thank you Donna. 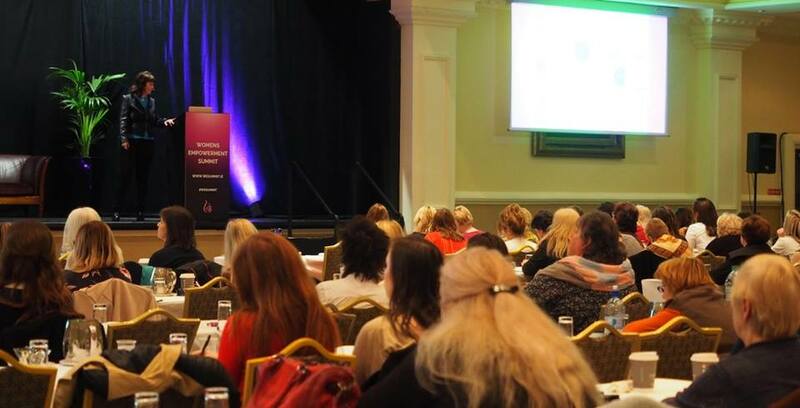 Like many other Web sites, www.womensempowermentsummit.ie makes use of log files. These files merely logs visitors to the site - usually a standard procedure for hosting companies and a part of hosting services's analytics. The information inside the log files includes internet protocol (IP) addresses, browser type, Internet Service Provider (ISP), date/time stamp, referring/exit pages, and possibly the number of clicks. This information is used to analyze trends, administer the site, track user's movement around the site, and gather demographic information. IP addresses, and other such information are not linked to any information that is personally identifiable. 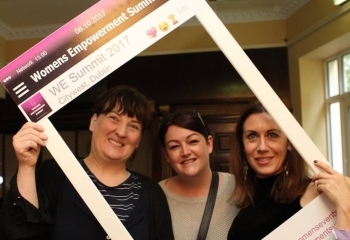 → Google's use of the DART cookie enables it to serve ads to our site's visitors based upon their visit to www.womensempowermentsummit.ie and other sites on the Internet. 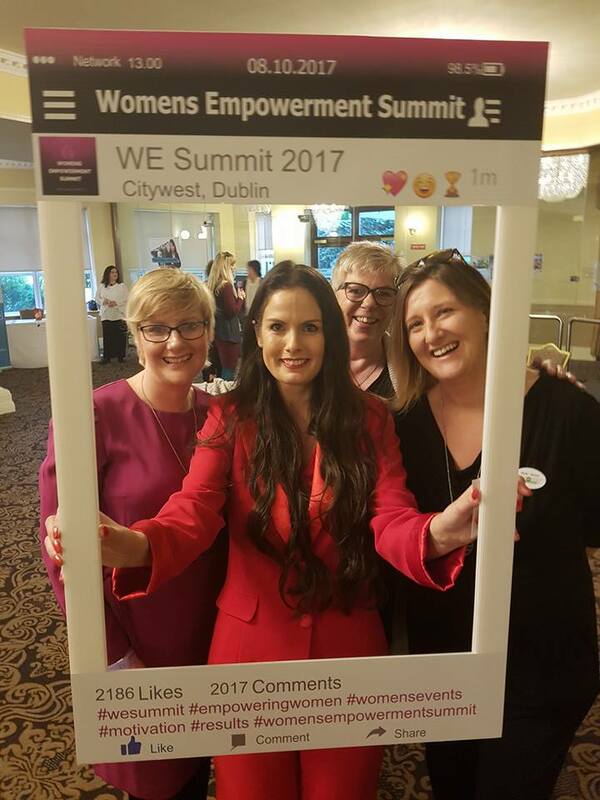 www.womensempowermentsummit.ie has no access to or control over these cookies that are used by third-party advertisers. We believe it is important to provide added protection for children online. We encourage parents and guardians to spend time online with their children to observe, participate in and/or monitor and guide their online activity. 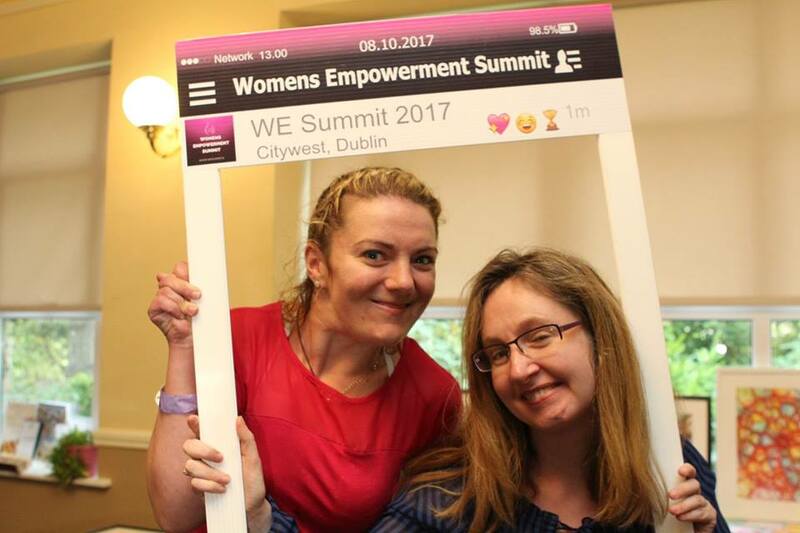 www.womensempowermentsummit.ie does not knowingly collect any personally identifiable information from children under the age of 13. 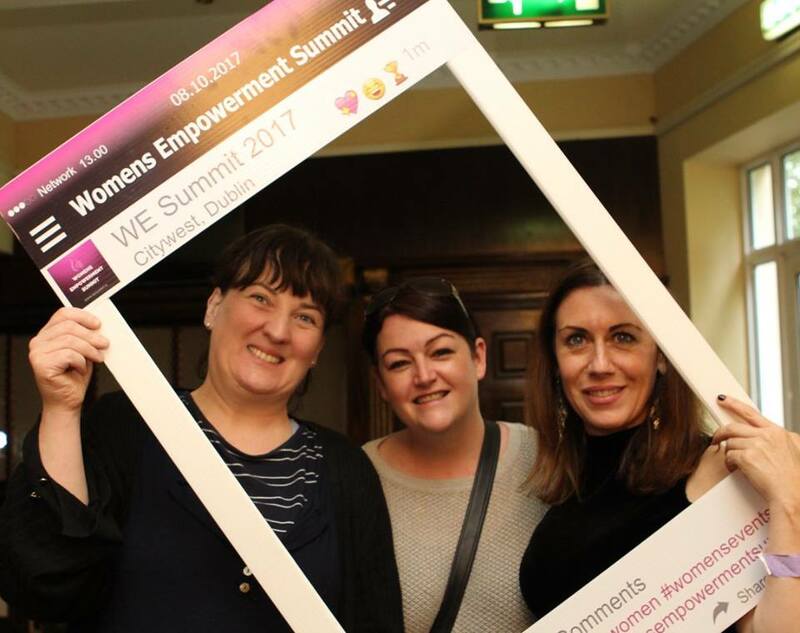 If a parent or guardian believes that www.womensempowermentsummit.ie has in its database the personally-identifiable information of a child under the age of 13, please contact us immediately (using the contact in the first paragraph) and we will use our best efforts to promptly remove such information from our records.